The jacket arrived quickly, well packaged and in good condition. It is as advertised. Ask about quality in a years' time. Good quality product. Colour darker than expected. The blazer is just what I wanted! My last blazer - bought about 25 years ago - had come to the end of its life and I wanted a smart replacement. Your garment fits well and looks stylish, but practical, too. I am delighted with it. Had my eye on this jacket for a couple of years now! 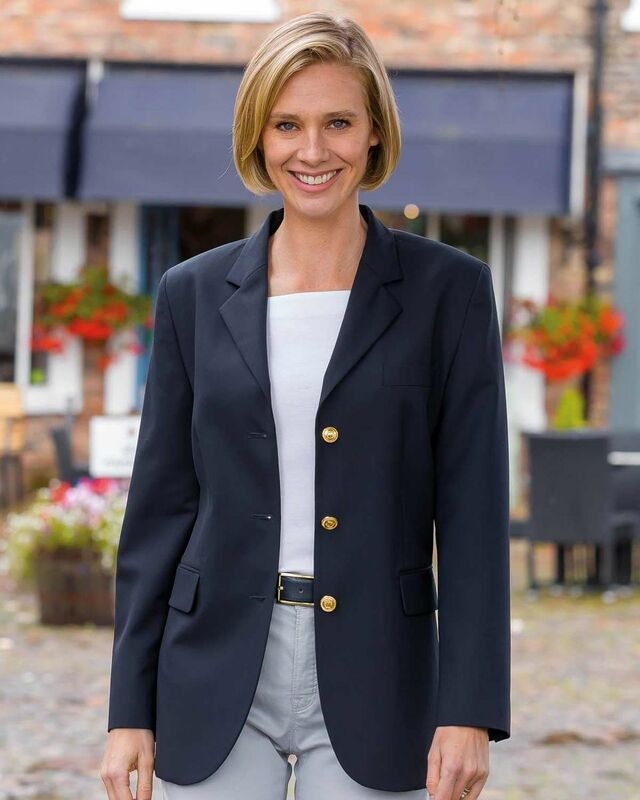 My husband took pity on me and treated me!.Lovely quality jacket, a REAL CLASSIC I have already worn it a number of times and I haven't had it a month yet.I've worn it with a dress, skirts and even jeans, it makes me feel quite chic!Good fit. "The jacket arrived quickly, well packaged and in good condition. It is ..."
Single breasted, fully lined traditional shape blazer cut from 54% polyester/44% wool/2% lycra. Jetted and flap pockets, gilt buttons and mock cuff button holes. This classic piece adds style and character to any outfit with it's elegant shape and flattering cut.